Insured through ACNA and a proud member of ASEL. Texas Best Estate Sale Company. Serving Dallas/Fort Worth and Surrounding Areas. Welcome to Texas Star Estate Sales. We are a full service estate sale company based in Denton, Texas. We service Dallas/Fort Worth and the surrounding areas. We are family owned and operated and look forward to helping you with your estate sale needs. The need for an estate sale varies with each client. Whether it is due to the loss of loved one, divorce, or downsizing for a move, we are here to help you with the process . Each sale and each client is different. We treat all of our clients homes and their possessions with the utmost respect, compassion and care. Our goal is to ensure complete satisfaction of every client. 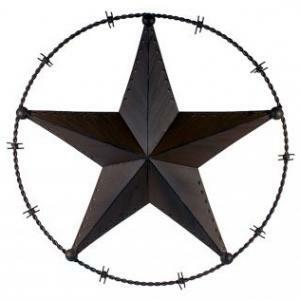 Texas Star Estate Sales will do a free walk-through and evaluation of your home's contents. This includes garage, attics and any outbuildings on the property. You never know what forgotten item or treasure will be found! Your best interest always come first in maximizing the returns of any estate sale. That’s why rather than just “liquidate” your items we strive for “fair market value” in turning your assets into cash and ensuring a successful sale. No household item is off limits in an estate sale. People will buy just about anything. If the home is going on the market, this is also a good time for us to work with the real estate agent that will be listing the home. We will gladly hand out business cards and flyers upon request. Our trained and caring team can help from start to finish. We truly love what we do and we want to help you have the most successful sale possible. We believe that our clients and customers needs are of the utmost importance, our entire team is committed and honored to meet those needs. We work hard to make your sale a complete success! EIGHTER FROM DECATUR, COUNTY SEAT OF WISE! Great Sale in Aubry, Texas! 50% Off Saturday and Sunday all day! 2001 yellow corvette added to sale! First of all, I found out that people have estate sales for all different types of reasons. I have the sweetest 85 year old mom and it was time for her to move from her home she lived in for over 55 years and into an assisted living facility. I requested information and received a call back from Tammie with Texas Star Estate Sales. We did not have a large estate, but she took the job anyway. We made much more money than I anticipated. They took great care in staging and setting up my mom's belongings. My mom and I stopped by for one last look while they were pricing. They were incredibly sweet to mom. I cannot recommend Texas Star Estate Sales enough. You will be blessed. Thank you again, Tammie. I pray that your business continues to grow and be a success. My mother and I will never forget how you helped us. Whenever you have a need for an estate sale, it is probably during a stressful time. You need someone who is trustworthy, caring and very knowledgeable. I was fortunate enough to not only find these qualities in Texas Star Estate Sales but was blessed by having 2 angels sweep in and handle it all. I thought unloading a 6500 square foot house was overwhelming, Tammie and Maria came in and graciously walked me through how they handle it . They do everything. It was such a huge weight off my shoulders. They are the most personable people. It was like having an old friend come in at your time of need. My house was a huge mess from packing up all the things that were being moved out. Tammie and Maria came in organized all the contents, setup up beautiful displays of items, researched the items to ensure the right prices were marked, and made the house presentable to all the estate sale shoppers. I literally had to do nothing, they were my therapists during this very tough time, never pushing and always helping. When they found money or personal items, they were quickly given to me and they told me where they found it. True angels. They worked day and night as I only had one week to have the estate sale. They marketed the sale and published it. They had over 8000 hits on the website and a great turn-out. They never took bargain prices just to sell something. If they knew an item was worth money, they would not take a ridiculous offer just to sell it. They really have the home owners best interest at heart. I can not say enough about how wonderful it was to work with Tammie and Maria, and their families. One OUTSTANDING team that you can trust with your home and your contents. I was able to give them the keys to the house and they did everything else. A true Texas blessing!! Texas Star Estate Sales has two bright shining stars in Tammie and Maria!! Their families all helped, it was like having your extended family to help you through a tough time! !